Los Angeles, CA (August 21, 2014) – YOUNG GUNS have teamed with Billboard for the premiere of “I Want Out,” the companion video to the band’s much-buzzed-about new single. The clip can be seen here. The song, which Alternative Press described as “The Killers meets the Academy Is…,” immediately shot to No. 1 on the Tunes Rock Chart in the UK. 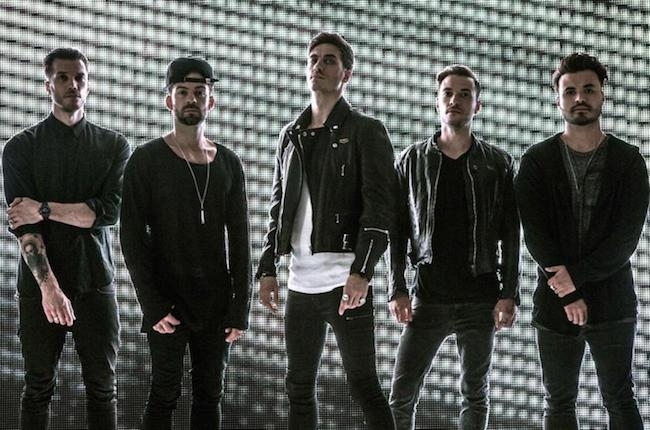 The yet-to-be-titled new Young Guns album is due in early 2015 and follows the band’s 2012 Wind-up Records debut and its title track “Bones,” a smash hit that rocketed all the way to No. 1 on the Active Rock Radio Chart. While its companion video was amassing YouTube views by the millions, “Bones” had a remarkable 32 consecutive weeks of steady climbing, making Young Guns the new record-holders for longest unbroken march to the top. They also hold the distinction of being the highest-charting new band at Active Rock Radio in 2012. Fans can catch Young Guns (lead vocalist Gustav Wood, guitarists Fraser Taylor and John Taylor, bassist Simon Mitchell and drummer Ben Jolliffe) playing “I Want Out” and a set packed with fan favorites during their upcoming North American tour with fellow Brits You Me At Six.